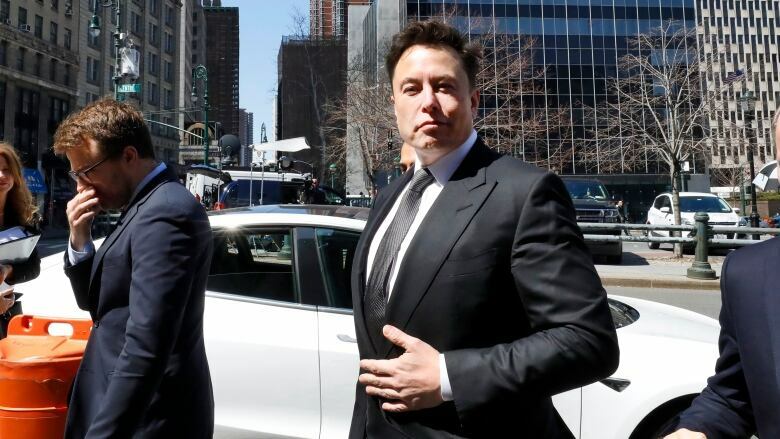 Elon Musk's job as Tesla Inc's chief executive appeared safe on Thursday as a federal judge in Manhattan urged the billionaire to settle contempt allegations by the U.S. Securities and Exchange Commission. The SEC said pre-approval had been a core element of the October 2018 settlement, which resolved a lawsuit over Musk's tweet last Aug. 7 that he had "funding secured" to take Tesla private at $420 US per share. The "funding secured" tweet had sent Tesla's share price up as much as 13.3 per cent. Musk's privatization plan was at best in an early stage, however, and financing was not in place. Since it began last September, he has labeled the SEC the "Shortseller Enrichment Commission," recalling his attacks on investors who sell Tesla stock short, and told CBS's 60 Minutes he did not have respect for the SEC.